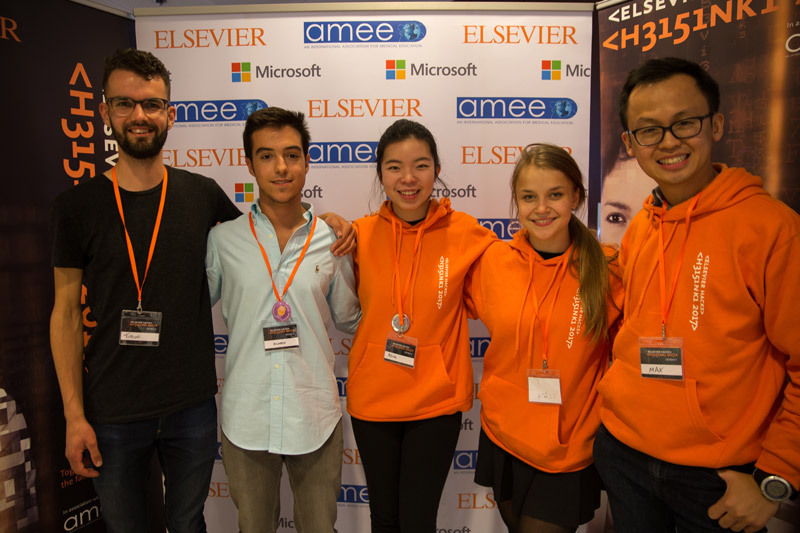 Since the Hackathon, Alvaro has been travelling around Europe and is currently doing his fourth year of Medicine at Wroclaw Medical University, in Poland. Meanwhile in Sydney, Alice has started her fourth year of Medicine and is enjoying her rotations in paediatrics and oncology. After completing the first two years of her medical studies, Eliza has started her first year in Computer Science at Utrecht University in the Netherlands. After returning home from the Hackathon, all of us medical students have been advocating for the importance of medical education amongst our peers and friends. We are very thankful for the Hackathon experience that has been so graciously provided to us, and we have been able to share our insights as well as our chatbot prototype with our peers so that they too can learn how technology can be used in our field today. Our medical student Alice has also shared the video of the team’s pitch from the Hackathon with her peers and health professionals within the hospital, to obtain feedback and also gauge user interest within the medical field. This feedback will help as we develop our business model and mould our product to better fit the user experience and the needs of medical education today. Our developers have also been keeping busy with Max continuing his Masters of Science in Bioinformatics at the University of Copenhagen. Since the Hackathon, he has been working on projects that involve chatbot development and medical research using machine learning. These projects have equipped him with more experience, skills and confidence to program Patient X. Our other developer, Timon, has resumed his work at Awkward, which is a digital design and development agency operating from Rotterdam in the Netherlands. Ever since the Hackathon, we have been keeping in close contact and have been discussing the future potential of the Patient X chatbot. We are thrilled to be given the opportunity to further develop and streamline our first prototype into a MVP under the guidance of experts and mentors from BeMyApp and Elsevier. We have been brainstorming ideas about which key features of our prototype to include in our final MVP demo as well as ways to improve these additional features of the chatbot. Although there is some difficulty with so many different time zones, in the meantime, via conference calling, we have also discussed the allocation of roles amongst the team. These responsibilities include product development, chatbot coding, as well as management of social media avenues. We have also set up Twitter and Instagram accounts to complement our Facebook page and we look forward to the public launch of these pages in the very near future. Please stay tuned and keep an eye out for these updates to come!